There is always a great deal of anticipation around the ILAC Annual trip to Springfield for “Lobby Day”. From the initial planning stages – including determining the best date for the 16-member committee to attend, coordinating travel, hotels and meals – to setting appointments with legislators for the day, the Illinois Legislative Action Committee plans its 3-hour trip down I-55 every year knowing that the “agenda” for the day could change on a moment’s notice. It can be an intimidating process – “Where do I go?”, “What do I say?”, “Does any of it matter?” – all frequent questions when getting involved in the legislative process. Springfield doesn’t operate on a consistent, hour-by-hour schedule. Legislative sessions and committee hearings often run long and there are other groups vying for a few minutes of their representative’s time. Much of the process includes waiting patiently in the cramped hallways of the House and Senate chambers hoping that a specific legislator will emerge from the floor to visit. 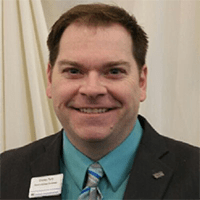 It can be a frustrating process for the impatient type, but fortunately, ILAC has CAI-Illinois lobbyist, Jeff Dixon to help navigate the many underground corridors, and rows of offices and meeting rooms throughout the capitol. Jeff has been navigating the Capitol since he was a kid. The “Illinois State Museum” building next to the capitol building was renamed the “Alan J. Dixon Building” in 2015, after Jeff’s father. Quite simply, he is the person you want to have with you – for directions and for his knowledge of the process. Perhaps a more daunting task than navigating the building is deciphering the politics of it all. Condo and HOA laws are typically a “non-partisan” area, meaning the members of ILAC can usually reach out to any legislator, regardless of his or her political affiliation. Still, there is a reality that this is a political process, and there is one team on this field that basically controls it all. Physically getting to where you need to be is one thing. Actually accomplishing something is the real challenge. Fortunately, with Jeff’s guidance, knowledge, and ability to maneuver through the process, the ILAC committee members and other CAI representatives in attendance each year are able to make an impact, and actively participate in ensuring that the voices of the 3.7 million homeowners who live in Illinois Community Associations are considered while bills are being debated. The “2019 ILAC Lobby Day” was held on Wednesday, March 20. 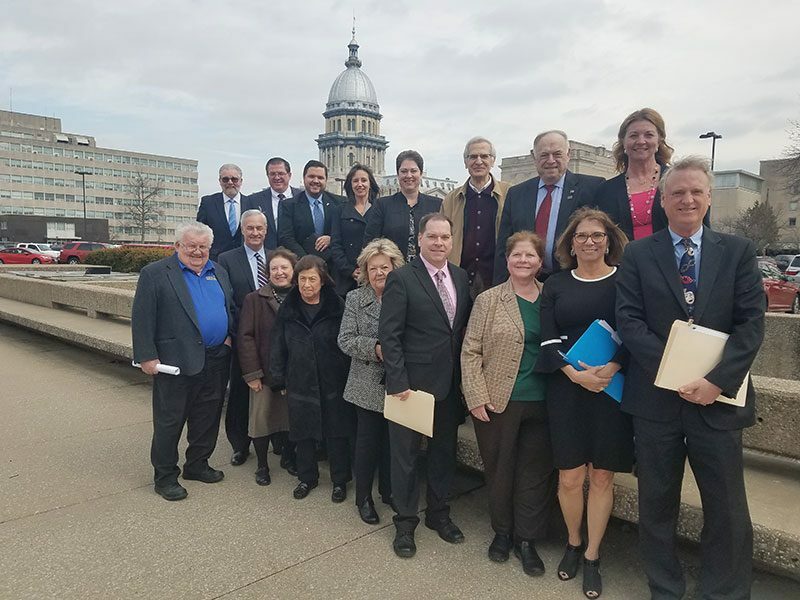 This year, a group of 16, comprised of ILAC members, CAI-IL staff, and other industry professionals set out to tackle the challenging task of speaking with legislators about several pending bills affecting Illinois Community Associations. The day began at 8:30am with ILAC co-chair, Pat Costello and Jeff Dixon presenting oral testimony before the House Judiciary Committee. There are currently several bills awaiting committee approval and given the relationships that have been strengthened over the past few years, legislators have been willing to seek input from CAI-IL and ILAC when necessary. At the committee hearing, the House Judiciary Committee Chairman, Andre Thapedi, made it clear that an omnibus condo bill is anticipated this year. An “omnibus bill” is one in which several separate bills are combined into one, and voted on as one piece of legislation. It is, in essence, an “all-or-nothing” approach. While this is often beneficial in getting things passed, it also makes it imperative that ILAC is able to keep track of exactly what is being considered and the overall consequences to the Community Association industry as a whole. As is typical in Springfield, this meeting unexpectedly took up much of the morning, and Pat and Jeff were not called until about 11:00am. Prior to the entire group meeting for lunch to discuss plans for the rest of the day, Pat and Jeff were also able to meet with members of the Department of Financial & Professional Regulation (IDFPR) to discuss Community Association Manager licensing, which is set to sunset at the end of 2019. ILAC will continue to work with the department to determine an appropriate course of action on this. Pat and Jeff then met with State Representative Margo McDermed, the Republican Spokesperson on the Judiciary Committee and later, State Representative Kelly Burke, who is an Assistant Majority Leader in the House. ILAC has presented Representative Burke with language to establish protocols within the Illinois State Emergency Management Act to allow the State of Illinois to accept funds from the federal government for use on private lands (including condominium and homeowners associations) for removing debris and clearing waterways. After lunch, the ILAC group descended on the capitol building, stopping to take a group photo, and then met with several legislators outside the House and Senate chambers. Each legislator was given a “fact sheet” which discussed CAI and ILAC’s positions on multiple pending bills. In total, ILAC was able to make in-person contact with 19 legislators in both the House and Senate. Each was welcoming, appreciative of our input, and open to further discussion. Overall, it was apparent that the efforts over recent years have been paying off, and CAI is a well-known and respected organization in the minds of our representatives. The day ended with a well-attended dinner as a group and further discussion with the five legislators in attendance. Noting the accomplishments of the day, there should be no doubt that the ILAC committee continues to work on behalf of CAI to accomplish great things for our industry. Given the often public debate over pensions, taxes, and other partisan disputes, it is certainly refreshing to be involved in a political process where voices can be heard, and real progress can be made toward a brighter future for the Community Association industry. It just takes effort, patience, and persistence – and you learn your way around.